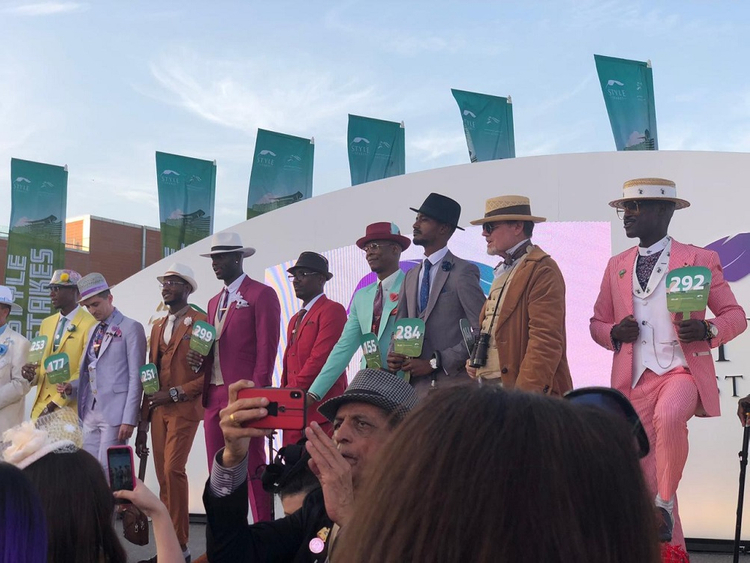 Dubai: From fanciful fascinators and heaving hats to dreamy dresses and seemly suits, attendees from all corners of the world didn’t hold back at the 2019 Dubai World Cup on Saturday. But it was their back stories that made the occasion so special. For Corina Tutoiu, a 44-year-old emergency nurse, flying in from Australia for the past five years has been a serious change of pace from saving lives. “It’s a big contrast, a different world, that’s why I’m passionate about it. I have a very down-to-earth job, and this is my passion,” said Tutoiu. Her headpiece was inspired by Lady Gaga, a mix of royal blue and golden beige to represent camels and the desert. But it was their back stories that made the occasion so special. For Corina Tutoiu, a 44-year-old emergency nurse, flying in from Australia for the past five years has been a serious change of pace from saving lives. “It’s a big contrast, a different world, that’s why I’m passionate about it. I have a very down-to-earth job, and this is my passion,” said Tutoiu. Meanwhile, 23-year-old Carrefour salesman Ebrahim Suliman was feeling the jitters of attending for the first time, having followed the event from afar for years. The Sudanese national proved that inspiration can come from anywhere, as his burnt orange suit was modelled after the colour of a ginger cat he had come across. Computer engineer Hafiz Osman, 39, also from Sudan, has been coming to the races for 18 years, and designed his red-and-white suit on his computer before sending it off to be custom made. “Red represents love, and white represents peace,” explained Osman. Meanwhile, UK-based doctor Yemi Adelaja and his lawyer wife Cecilia Goodwin marked their first time at the races together. Adelaja had been “desperate to come” to after watching the event for seven years in the UK. He first attended in 2016, but after marrying Goodwin last July, he was set on convincing her to join him. “It was her birthday on Wednesday, so it was a bit of a celebration of both — but mainly for this. Sorry, dear,” joked Adelaja. The couple, decked out in various shades of silver, burgundy and black, were competing for Best Dressed Couple at the Style Stakes. Yasmine Esfandiari, a 26-year-old from Iran who usually spends her time taking care of her family’s business in Dubai, had a good reason to return again and again. “The most important thing is it’s very safe here, because I don’t feel safe in other places in the world when I go, but here I feel very safe,” said Esfandiari. Having designed and created her black-and-yellow hat herself, Esfandiari also signed up to compete at the Style Stakes in the category of Best Hat.